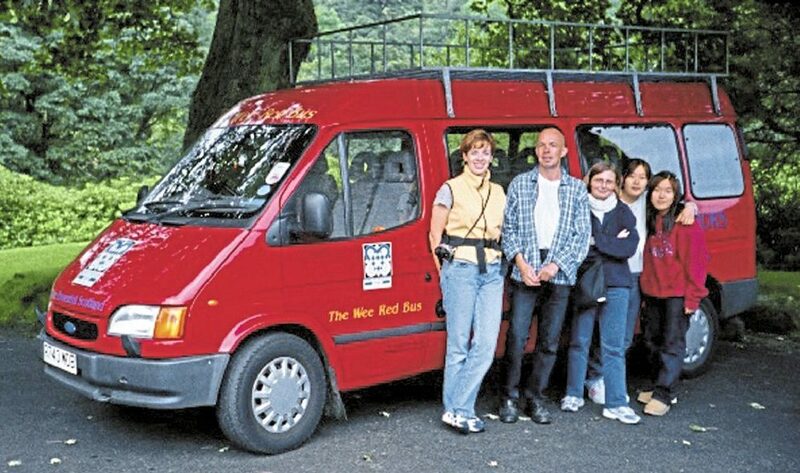 A very familiar sight on the streets of Edinburgh and throughout the Highlands and Borders, the immaculate little red minicoaches of Heart of Scotland Tours are eye-catching. We pay the company a visit. 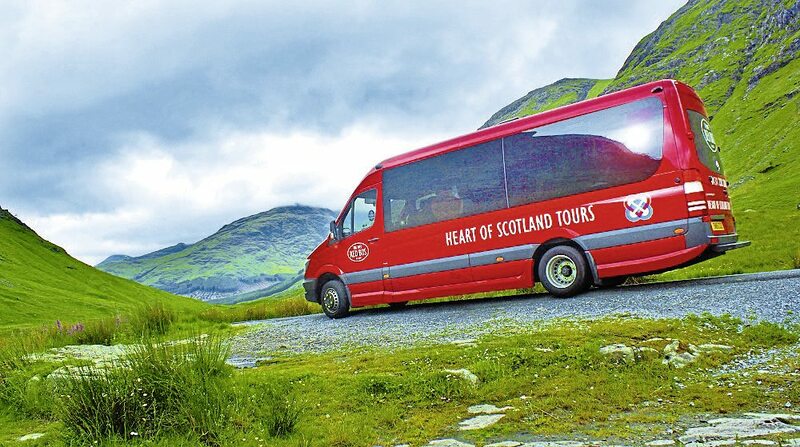 In a fiercely competitive market, there are already a number of well-established tour operators based in Edinburgh, so how have Heart of Scotland managed to carve themselves a sizeable niche? Founder, Nick Roche believes it is down to the quality of the tours they provide and particularly their highly knowledgeable, skilled team of driver/guides. 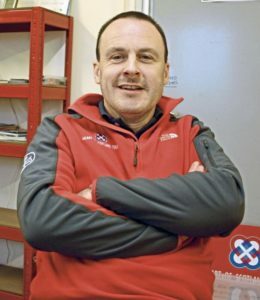 Nick has been running the business since he founded it in 2001, but perhaps rather surprisingly, he doesn’t even live in Scotland; he actually lives in Sweden with his wife Charlotte and their family. That isn’t to say that Nick is in any way remote from the business. Modern communication systems mean that it is easy to keep in touch. There are also frequent flights between Sweden and Edinburgh. It’s a short journey – actually quicker than going from Edinburgh to London. Nick generally finds that one trip of a few days once a month is all he needs to make. Of course to achieve that happy compromise you have to have a good team operating at base and Nick is the first to acknowledge that is just what he has. Operations Manager, Matt Constable; Assistant Operations Manager; James Farrell; Technology expert, Jeremy Webb and Office Manager, Jenny Parker keep the ball rolling between visits. So how did Nick come to start operating a tour company? 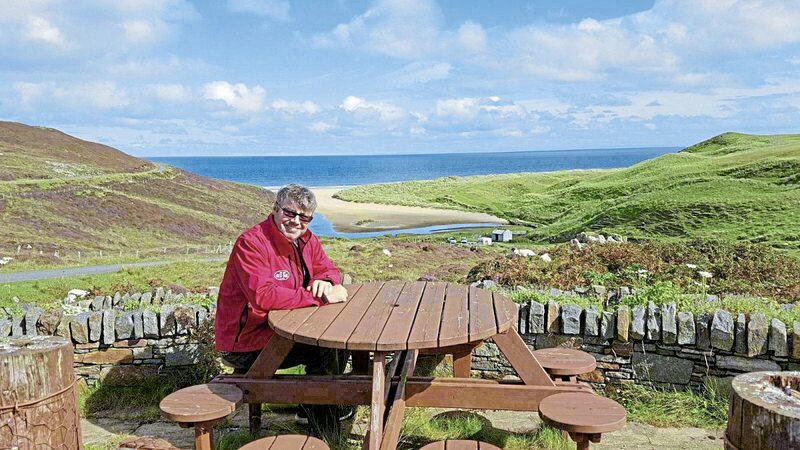 Nick has a natural love for Scotland, its spectacular scenery, its history and its architecture. As a young man, (not that he’s anywhere near old yet!) he spent a lot of time exploring and getting to know his country. He was also a keen sportsman, especially keen on hill walking and playing hockey. 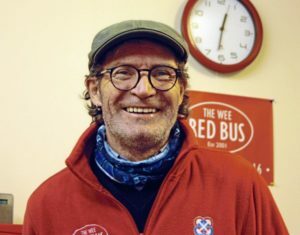 To keep the wolf from the door and give him time to do his other activities, Nick began driving/guiding coach tours for an Edinburgh-based company. He loved it. 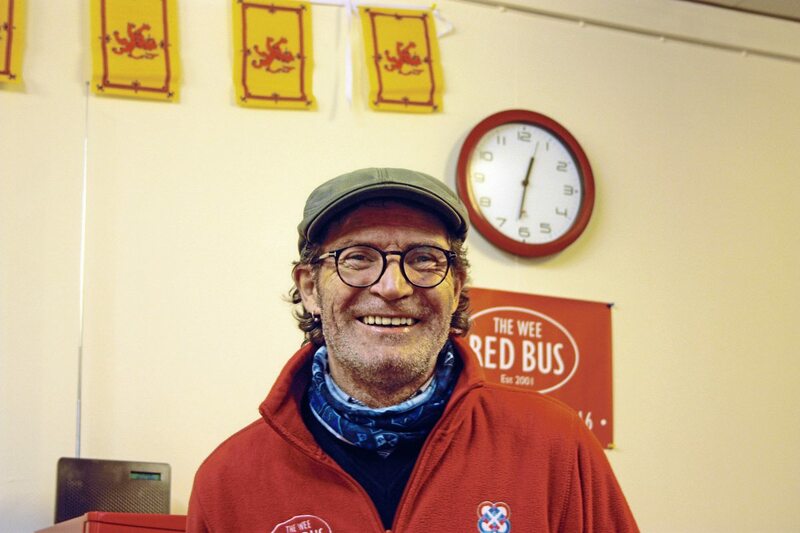 He loved the freedom it gave him, the chance to really explore his Scotland and the opportunity to pass on his knowledge to enhance his passengers experience. While he thoroughly enjoyed this phase in his life he couldn’t help thinking: “I could do this so much better if I was organising it.” Discussing this with lifelong friend and fellow hockey player Matt Constable in a bar one night Matt said ‘Well do it then.’ So that is exactly what Nick did. Early days, unsurprisingly with their background, were set around operating trips centred around sporting events but it really was the guided tour market that Nick wanted to break into, but he wanted to do it differently. “From the start I wanted to keep it relatively small,” says Nick, ”I wanted us have the freedom to make changes easily so that we are always looking for ways to tweak the product. I wanted people to feel that they got real value for their money, that they had really seen and learned about Scotland and that they had been to places and seen sights they had probably never heard about. Nick is the first to admit that this didn’t just happen: “My management team and I had an immense knowledge of how to run a good trip, we had all been doing it for other people for some time. We knew what worked and what didn’t, but you have to stay on the ball, tastes change and what might be popular one year isn’t the next. Nick told me that they have never advertised for driver/guides. All those they have arrived either by approaching the company direct or by referral and some of them have been with Heart of Scotland Tours for many years. Currently they have 19 driver/guides… a mix of men and women. All new drivers are put through a rigorous process of evaluation before they are given the keys to a Wee Red Bus. The company has also recently begun its own training scheme aimed at developing a new younger workforce of driver/guides. Under the scheme they are tutored into how to drive skilfully, safely and with maximum regard to the passenger. They are also mentored by the established driver/guides to begin to assimilate the mass of information they need to absorb to become a top quality driver/guide. When the operation began back in 2001 Nick had one vehicle; a 14-seat Ford Transit which just happened to be red. Over the early years the fleet increased and so did the size of the vehicles. The fleet colour also changed to mainly white. In 2006, the company bought its first new vehicle, a Mercedes-Benz Sprinter 413cdi 16-seater converted by KVC in Ireland and for whom Harry Ferguson Coach Sales were the importers. That brought them into contact with Gordon Robertson, who did the deal and began a very long association with Gordon who, these days, owns and runs Coachtraders, the mini/midicoach specialists of Whitburn near Bathgate. They still have Heart of Scotland Tours as their customer. In 2008 Gordon supplied the company with a youthful Indcar Wing mounted on a Vario 816 chassis. The vehicle had 33 seats. In 2010, now trading as Coachtraders with partner Brian Ferguson, and official Unvi dealers, he supplied them with another new Sprinter, this time a 16-seat Unvi Vega. The first new larger mini operated was an Unvi Classic, again on the Vario 816. It was actually a 33-seater but Nick ran it as a 29-seater to give passengers greater legroom. 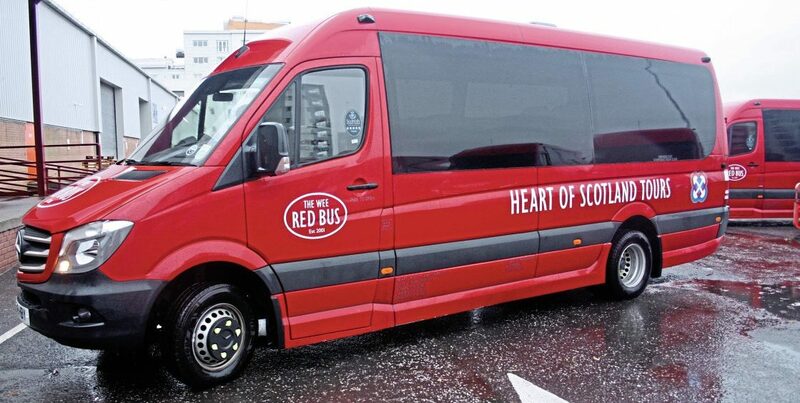 Heart of Scotland Tours further expanded their fleet in 2012 with the addition of another two Mercedes-Benz Sprinters with Unvi Vega 16-seat bodywork. 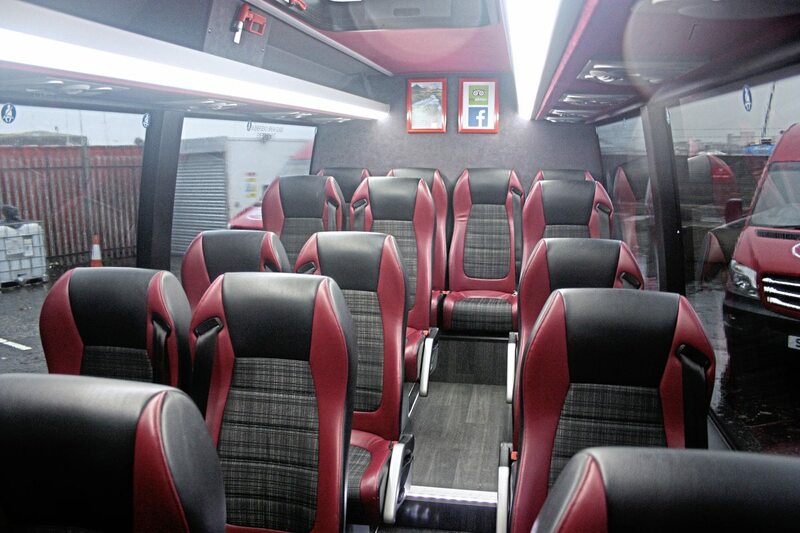 Another new Unvi Vega 16 seat Sprinter followed in 2014. Coming up to the 15th birthday of the company, Nick and Matt decided that changes needed to be made. Although the business was flourishing, they were straying from their ideal which was to deal with small groups giving greater flexibility in locations where the tours could visit. Having experimented with 16-seaters and found them much more flexible in operational terms, they decided that they would set a ceiling on vehicle size of 16 seats. “From our own experience and that of our driver/guides we felt that a party of 16 is about the ideal size,” says Nick. “Large enough to be financially viable but small enough to allow close inter-action between driver/guides and the customer.” So the decision was made henceforth they would standardise on 16-seaters – and they also decided to go back to using red vehicles. The 2015 season was also significant as far as the fleet was concerned. The year saw the arrival of three new Mercedes-Benz Sprinter 516s and also the replacement of the last large vehicle, the 33-seat Vario, so going forward it was only 16-seat Sprinters in the fleet. Another significant change was that Nick decided to go for vehicles converted by Paramount Conversions of Tullamore, Ireland. Apart from being Unvi dealers Coachtraders is also the importer of Paramount products. Since then, further Paramount Sprinters have joined the fleet, including this year, when another three joined. This brings the Sprinter fleet to nine, which is the largest the company has ever been. The company now operates a philosophy of changing a section of the fleet, usually a third, each year. This ensures that the operational fleet is always in good condition, all major work is covered by the warranties and the vehicles are being sold off at a time when they still have a high residual value. 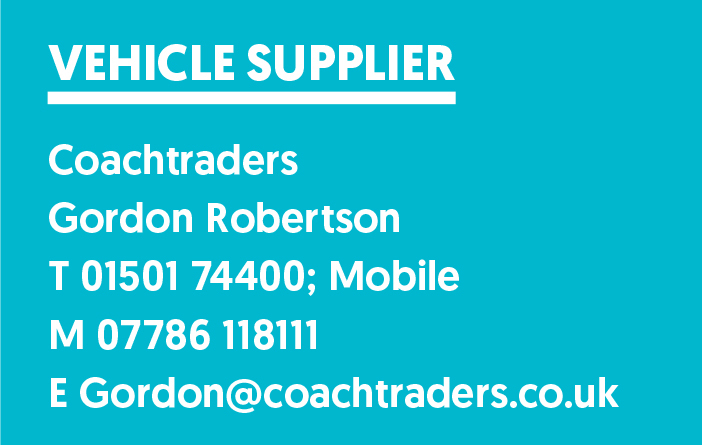 It is also good for the dealer because Coachtraders knows in advance when and what vehicles it will be taking in, enabling it to move them on quickly. Nick and Matt have settled on a standard specification for the vehicles – Mercedes-Benz Sprinter 516s with six-speed manual transmission; Paramount Conversion bodywork with front entrance; 16 luxury Politecnica seats spaced to give maximum legroom; ‘Widescene’ panoramic, double-glazed windows; full air conditioning; high quality Bosch PA system, USB charging systems and a large boot. 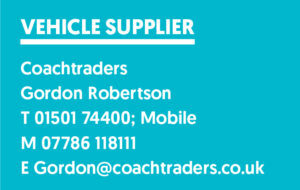 There is also a smaller vehicle on the fleet… a seven-seat Mercedes-Benz Vito minibus again supplied by Coachtraders. The vehicle has luxurious seats and full air conditioning and is used for the increasing number of bespoke private tours that the company is asked to provide. The fleet is always maintained in immaculate condition both internally and externally thanks to the attentions of James Farrell. Heart of Scotland doesn’t maintain its vehicles but uses a local Leith-based company to maintain its vehicles plus the local Mercedes-Benz specialist, Western Commercials. All the fleet are finished in the now familiar Hibiscus Red. Heart of Scotland operates a programme of one-, two-, three- and five-day tours. One-day tours include Loch Ness and the Highlands; Stirling Castle, Highlands and Whisky; Rosslyn Chapel, the Borders and Hadrian’s Wall; Best of Scotland in a day and Viking Coast and Alnwick. The two-day tour takes in Inverness and the Highlands; the three-day tour takes in the Isle of Skye and the Western Highlands, and the five-day tour offers a Grand Tour of Scotland. 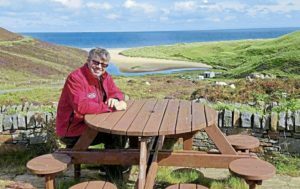 The company was the first of the Edinburgh-based companies to offer trips taking in the Northumberland Coast, Hadrian’s Wall and Alnwick Castle. The majority of trips are operated between April and the end of October. Working is pretty intense. Most day trips are between nine and ten hours’ duration and for this reason, driver/guides work a four-day week except if they are driving the five-day tour. The bulk of tour customers at the moment originate from North America, Northern Europe and the Far East. Heart of Scotland Tours is a very slick operation, well planned, well-resourced and very well managed. Very impressive.